If you're looking for an adaptable lifestyle bike that's simple, elegant and perfect for navigating the urban jungle, then Cube built the Hyde Pro 2019 for you. Don't be fooled by its understated looks, unassuming urban bike is capable of taking on pretty much anything. 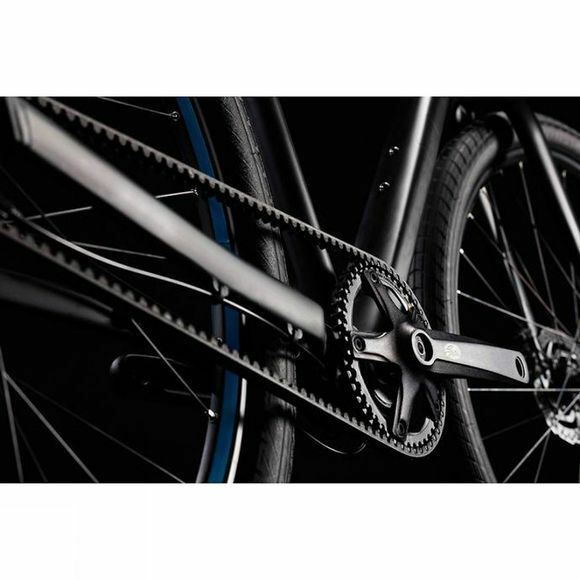 A tried and tested 8 speed hub gear with belt drive serves up all the gears you need while demanding practically nothing in the way of maintenance making it perfect for an urban all-rounder. 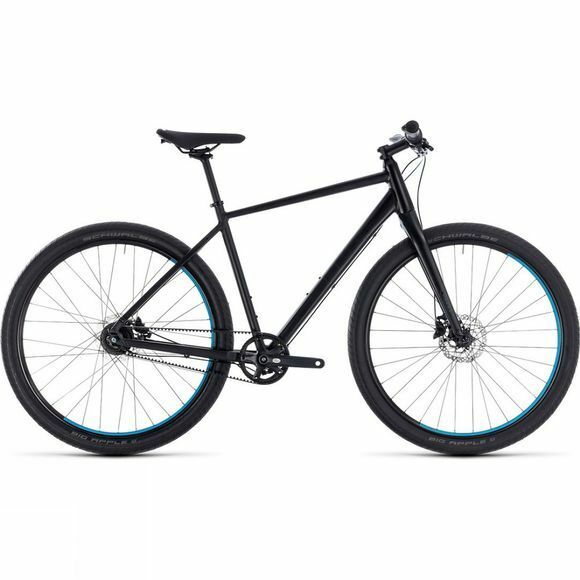 Based on Cube's 29er hardtail mountain bike model, the frame is designed to be tough, comfortable and supremely versatile. The light but stiff aluminium in a double butted tubeset saves weight without sacrificing strength and the sleek rigid fork also contributes to low overall weight while giving the bike it a nippy, nimble feel. Impressive hydraulic Shimano disc brakes provide powerful, easy to control stopping in any weather conditions making this a bike you can count on. The mudguard and luggage carrier mounts make it easier to attach the accessories you need without spoiling the sleek lines of the frame and the cable routing stays inside the frame tubes to reduce maintenance and clutter. Headset–FSA Orbit 1.5B ZS-1, Semi-Integrated, Top 1 1/8" Bottom 1 1/2"